When Australian troops stormed Z Beach in the pre-dawn darkness of 25 April 1915, it was the culmination of one of the most complex and daunting operations in the history of warfare - a seaborne assault on a heavily fortified shore, defended by a well-prepared and forewarned army. To add to the difficulty, the assault was planned and executed in just thirty-six days. The risks were enormous, and the death toll on the beach at Anzac Cove could have been catastrophic - as it was with the British landings further south. Yet the ANZACs had been allowed to organise their own assault, and their ingenuity, intelligence-gathering and willingness to do the unorthodox allowed them to seize a foothold and fulfil the task they had been set by their commanders. All too often the scale of that task and the successful way the ANZACs approached it have been overshadowed by events later in the campaign. 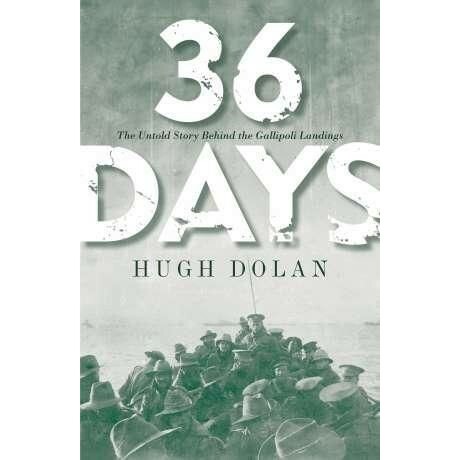 Hugh Dolan, an intelligence officer in the Australian military, has minutely re-examined the assault itself, giving us a day-by-day account of the build-up to the landing that shows a very different side to the Gallipoli story. Drawing on a wealth of previously unpublished material and research, he has produced a riveting work of narrative history that sheds a fresh light on the original ANZACs. Hugh Dolan is a Squadron Leader in the Australian Air Force. He is currently researching the air battles over Gallipoli at the Australian Defence Force Academy. He has worked in minor headquarters roles in Australia and overseas. He describes his military service to be within range of map tables and the coffee percolator. His military career started 15 years ago with enlistment in the British Army as a private. He served in Bosnia as a junior NCO and witnessed the importance of military intelligence in operation planning.